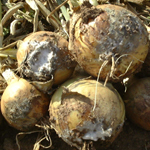 Allium crops are grown and consumed worldwide. 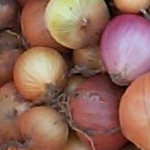 Our aim is to provide solutions to major challenges to onion and leek production, to enhance yield and quality for the benefit of producers and consumers. 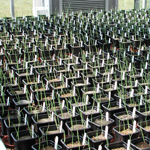 The Genetic Resources Unit seed collection has over 2400 accessions of Allium including onion, leek and wild species. 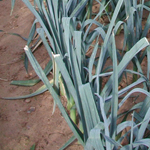 Nitrogen fertiliser application is being matched to nutrient requirements of leek crops to maximise production of quality produce with minimal impact on the environment. Such information is vital to justify any changes in the national fertiliser recommendations. (HDC project FV350, 2009 to 2011). See HDC News July/August 2010 for further information.